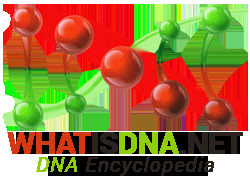 DNA replication involves many activities in the cell. These activities need to be performed gradually and very precisely, as any malfunction in the activities can appear in severe birth defects in offspring and can be fatal in some cases. First, among the DNA Replication activities, that launches the process is that a nick is formed by DNA gyrase. Unlike the C-G base pairs, the A-T base pairs have only two Hydrogen bonds holding them together; hence the location with an abundance of A-T bases is the ideal spot to crack the double helix with minimum energy required. This breaking up of hydrogen bonds, by the way, is an important movement in DNA replication. Uncoiling of the twisted double-stranded DNA is carried out by helicase enzyme. This activity exposes bases in DNA. As part of the DNA replication activities, DNA polymerase gets into the picture and enlarges each exposed strand by adding more nucleotides to it. The base-pairing rule is of course followed here. In the elongation process, the original DNA strand is taken as a guide that DNA polymerase follows all the way. However, the DNA polymerase can only read this guide of DNA strand in 3’-5’ course and this causes a jumping of back and forth by DNA polymerase while reading and making way for RNA primers to be fastened to the strands. The replicated chain gets broken due to this jumping activity and Okazaki fragments are formed, which are nothing but minute parts of DNA. Repair mechanism checks the errors in the new strands and removes the wrong nucleotides, replaces them by nucleases (enzymes). While DNA Ligase plugs the gaps in newly formed DNA strands. Last, among the DNA Replication activities, is the curling up of new copies automatically. It should also be noted that the time taken for these activities to pursue, varies in different kind of cells, and the processes within occur at different rates.